While the Xenomorphs at time stake priority in the Aliens series, the heart of the best interpretations is the personal stories of struggle and survival against them, and Dark Horse is embracing that in its new series. 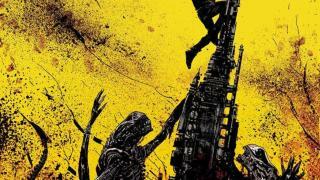 Dark Horse will be debuting a new series titled Aliens: Dust To Dust later this month, and we've got your first look at the full covers for the fourth and final issue of the anticipated series. Dust To Dust tells the story of a 12-year-old named Maxon and his mother as they try and make it through hordes of Aliens to safety, and the cover of Dust To Dust #4 perfectly represents that desperation the two must be feeling by the series' end. That cover is by artist Gabriel Hardman, who is also writing the series. We've also got your first look at the variant drawn by Carlos D'Anda, which features a Xenomorph crushing a golden skull in his hands...or do you call them claws? Paws? Who knows, but regardless they aren't exactly inviting. Both covers are lovely, and you can check them out in the gallery. Aliens: Dust To Dust is directly inspired by the emotional and endearing bond Ripley and Newt developed throughout the original Aliens, with the Xenomorphs acting more as an obstacle to the goal and less like the focus. Aliens fans are always looking for that tone and feeling the original captured, and Dust To Dust seems to be on that same track. Aliens: Dust To Dust #4 is written and drawn by Gabriel Hardman and colored by Rain Beredo. You can find the official description for the series below. 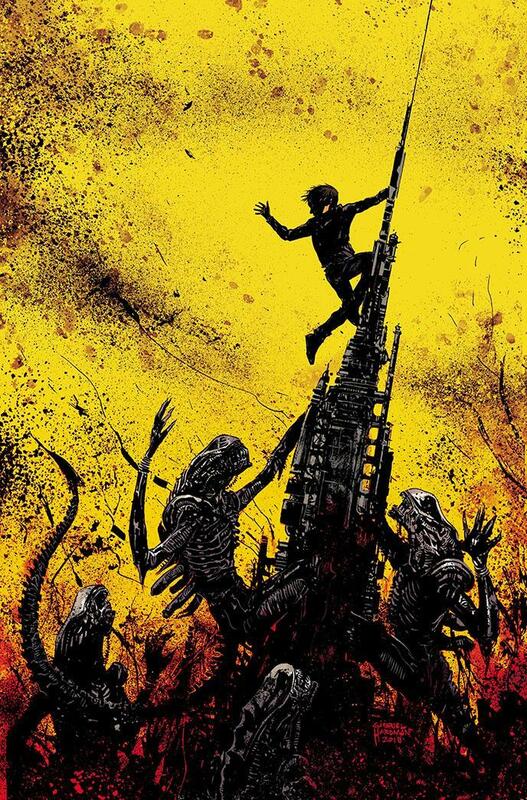 "Writer and artist Gabriel Hardman (storyboard artist for Batman: The Dark Knight Rises, Logan, Dawn of Planet of the Apes) weaves an Aliens story harkening back to the classic film with the terrifying coming-of-age story Aliens: Dust to Dust. In deep space, the Trono colony on the planet LV-871 finds itself under attack by mysterious and deadly creatures of unknown origin. Emergency evacuations are ordered and shuttles are taking off as the massacre sweeps the colony. All that stands between 12-year-old Maxon and his mom making it to the safety of the spaceport... is a horde of Aliens! You'll be gripping the edge of your seat as a mother and son fight for their lives against the deadliest monsters in the galaxy." Aliens: Dust To Dust #1 hits comic stores on April 26.